Mayor Randy Henderson traveled to Washington to meet with the Department of Housing and Urban Development regarding living conditions at the Jones Walker apartments. 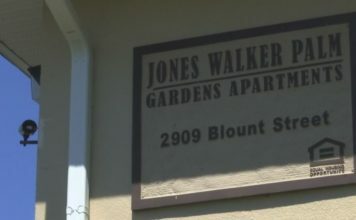 Tenants have been struggling with mold, damage and broken appliances at the Jones Walker Palm Garden Apartments for years and they say they deserve better. The complex failed a recent federal HUD inspection and the owners aren’t moving quick enough to make necessary repairs. Crowley says she’s dealt with a long list of issues at Jones Walker since 2015, mainly mold that has made her sick. With leaking walls and increasing problems, she says all that’s been done is temporary patch work. “We’ve been complaining about this for years and it just gets worse and worse and worse,” she said. Mayor Henderson says the City and HUD are putting more pressure on the owner and time is running out. “Were asking them to move faster and to get it solved sooner than later. The citizens are in dire straits here,” Henderson said. And the community is grateful. “I thank Mayer Henderson for that because we need someone to go to bat for us,” Crowley said. After years of problems, the tenants just want vouchers to get out. For that to happen, the property needs to fail a re-inspection. Senator Marco Rubio’s office is getting involved as well and released the following statements. Our office is aware of the inspection that occurred on September 6. The results were failing and completely unacceptable. We are glad that the city has worked with Treetop Developers to put together a plan to fix the defects, and we will work with HUD to hold the developer accountable if they don’t. 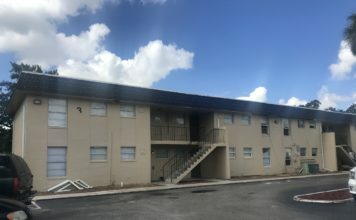 On Tuesday, Senator Rubio met with Fort Myers Mayor Henderson to discuss the poor living conditions at the JonesWalker and Sunrise Towers apartment complexes. The Senator is exploring ways to ensure there is a thorough investigation into the owners of the properties. He and his staff continue to work closely with HUD to secure safe and sanitary housing for all Florida tenants of HUD properties.